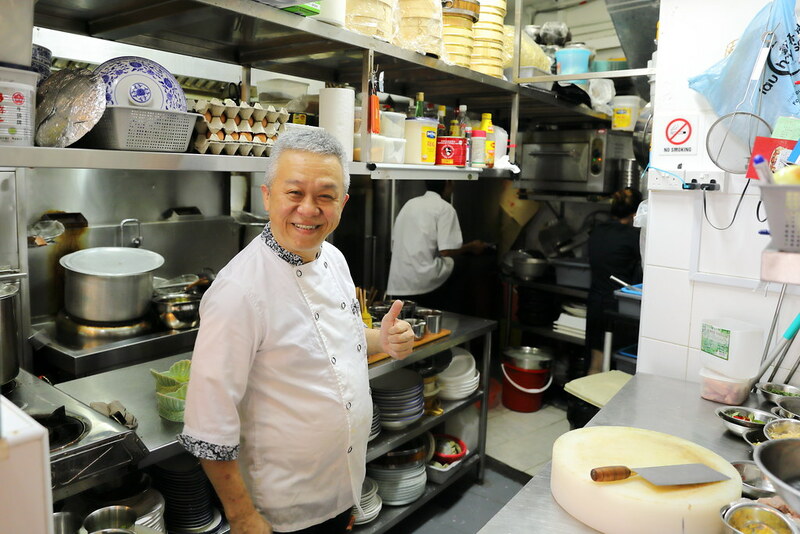 With the release of the Michelin Guide Singapore 2017, one of the newly awarded 1 Star restaurants is Chef Kang's Kitchen at Mackenzie Road. We were quite lucky to get a table at the restaurant which only has 4 tables. I heard the waiting list is a up to 2 months if you want to savour Chef Kang's cooking. Our lunch started with the Marble Goby Soup ($98 small). 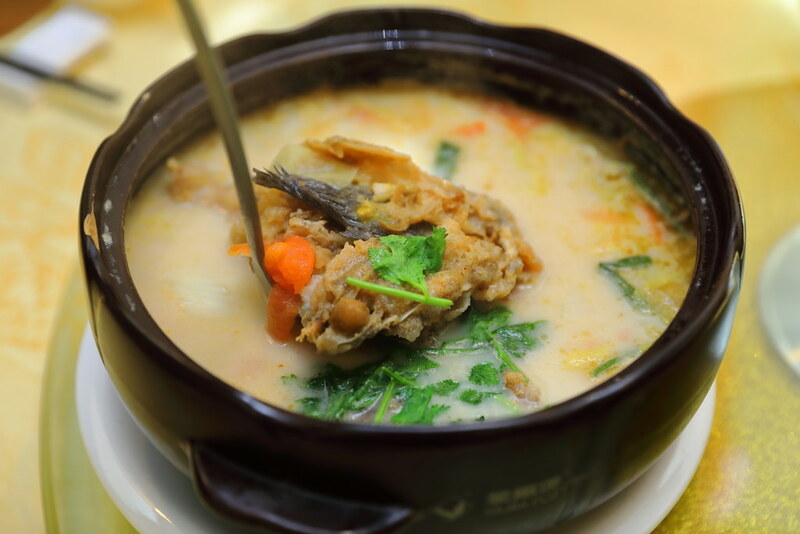 Chef Kang shared with us that the soup base is prepared a day in advance, using chicken feet, old hen and fish bones, boiling it over slow fire. The soup was creamy, sweet and refreshing, with a lot of depth. 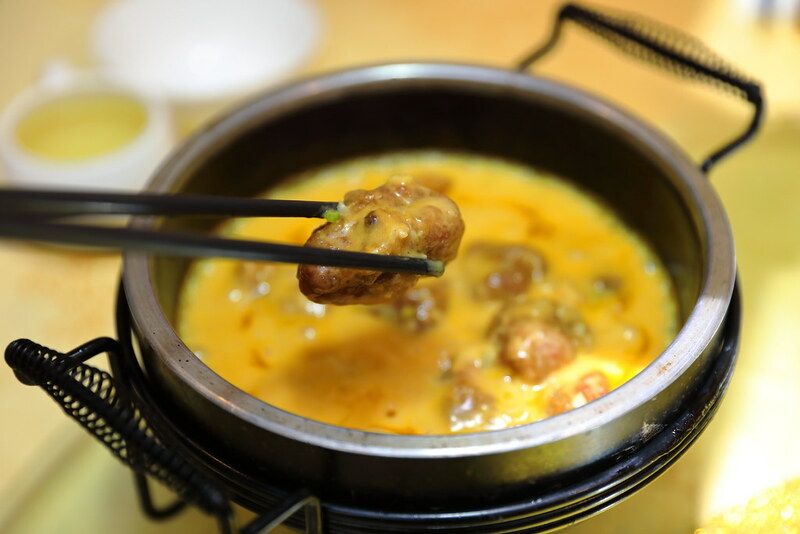 I noticed a special ingredient in the soup which is Taiwan olive, giving the soup a zesty touch like sour plum. This is definitely a must order here. The next dish we tried is the Pork Ribs with Portuguese Sauce ($28). The pork ribs were chunky and succulent. The Portuguese sauce is rather unique which is something new for my palate to register. The sauce is prepared from a vegetable stock base whereby corns, mushroom, garlic, onion, curry powder, butter and cheese were added, for a creamy consistency. I received mixed review of the Prawn Paste Chicken Wings ($24). We were advised by our common friend to skip this dish. However we still end up ordering it to taste it for ourselves. Surprisingly we love it. It is obvious that it did not have that thick batter and strong prawn paste flavour. The version at Chef Kang's kitchen is more subtle and has a hint of bitter charred flavour. The batter also felt more airy and biscuity. 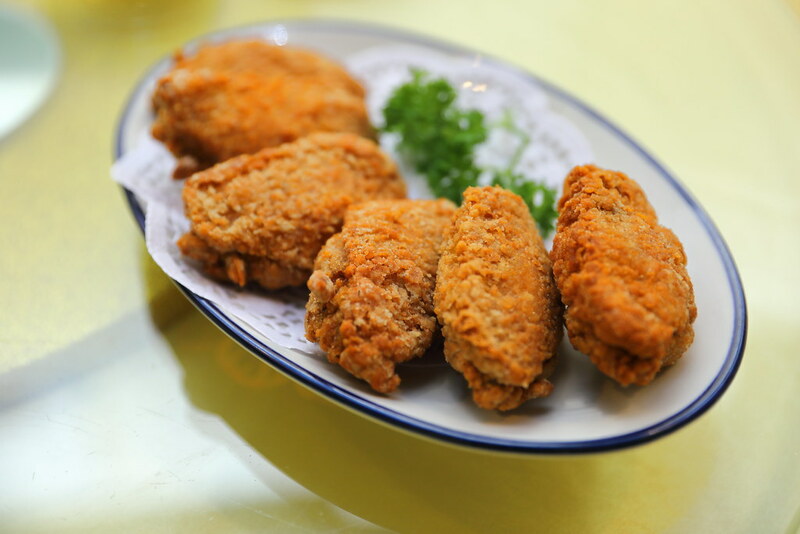 Chef Kang shared with us that he used the technique of "slapping" the batter onto the wings instead of coating them, which differentiate the texture. 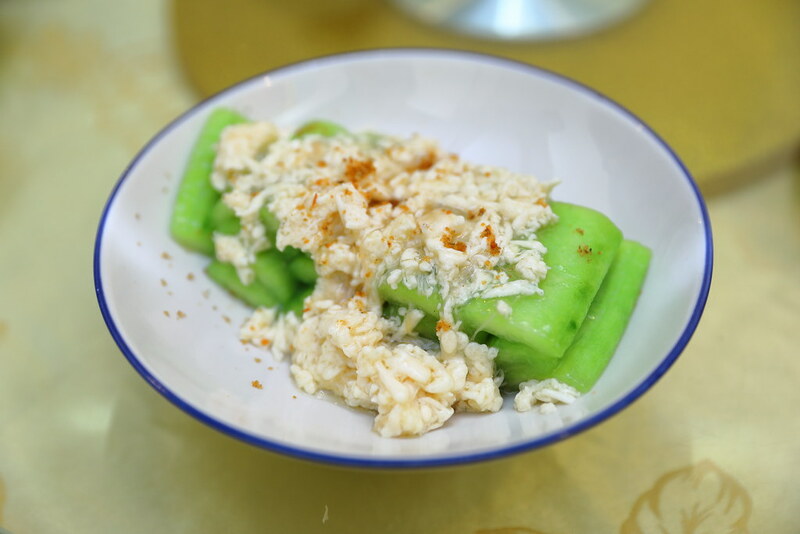 A simply dish it may seen but the Braised Angie Luffa with Egg White ($28) is not easy to get it right. The angie luffa if not done right will be mushy but this has a good crunch to it. However I thought the egg white was a bit overcooked, almost scrambled egg like texture already. I recommend adding a bit of the black vinegar to the egg white for an accentuated enjoyment. We actually wanted to try the braised fried noodles with pork crisp but it was not available. Hence we changed our order to the Simmered Rice Noodles in Superior Stock ($25). It was a great choice and we all enjoyed it. 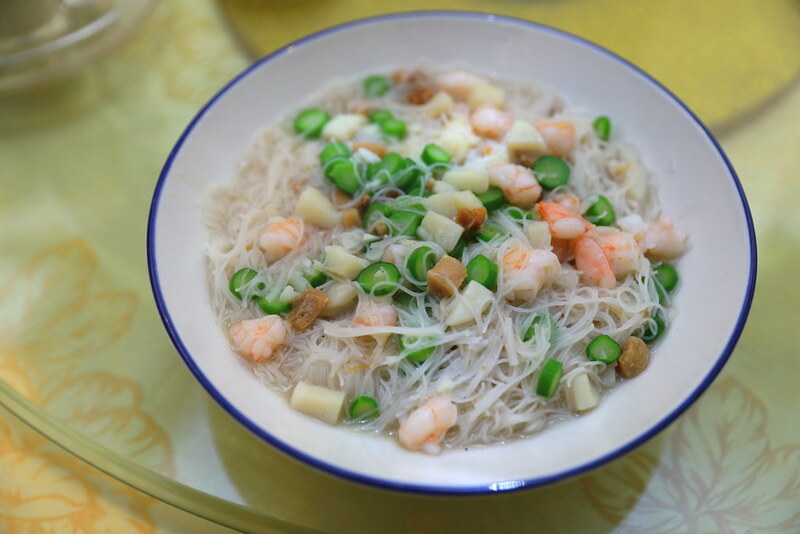 The rice noodles braised in seafood and chicken stock is a good slurping goodness, perfumed by the crispy pork lard. 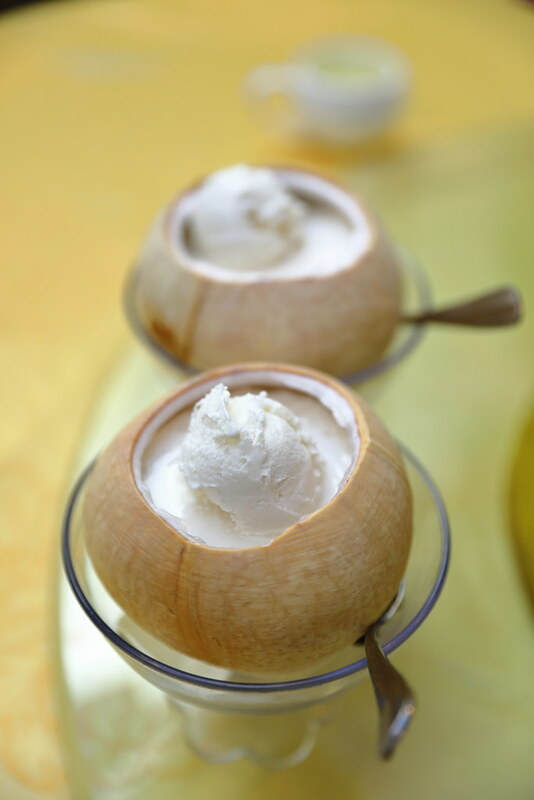 If you are a fan of coconut, then you should not miss the Ice Cream in Coconut ($9.80). Served in the husk, there are coconut ice cream, coconut jelly and the coconut flesh. Coconut in three ways. 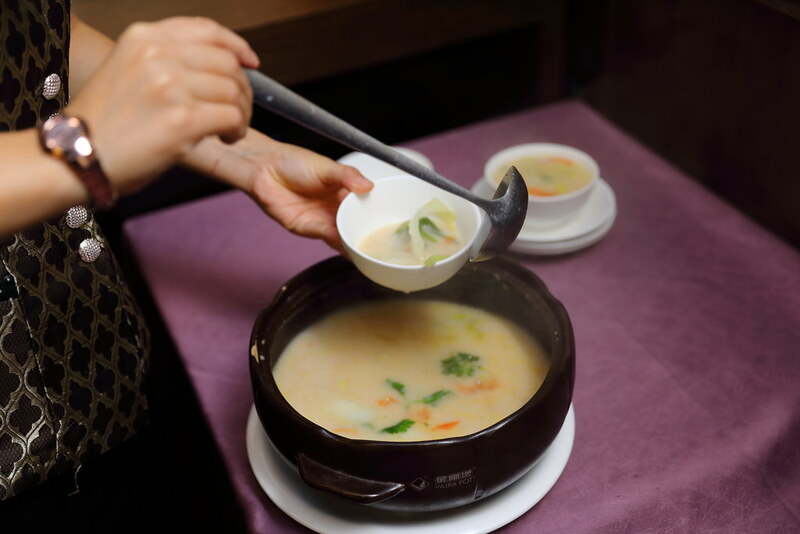 Many people has commented that its not worth eating at Chef Kang's kitchen because it is very expensive for zichar food. I agree with the pricing but we need to recognise this is a private kitchen. Chef Kang cooks every dish himself. In fact he has given refinement to the dishes. Hello! Was this lunch for three or four persons? Thank you.